Indian Breakfast Recipes Archives | Cook Click N Devour!!! Breakfast recipes Collection. Find hundreds of breakfast recipes that are quick, easy, healthy and tasty. 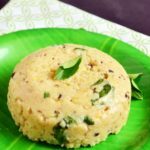 Browse recipes ranging from soft idli, dosa, paratha, smoothies, sandwich, cheese toasts, pancakes,waffles, granola and more. Here you will also find suitable side dish recipes for your breakfast.